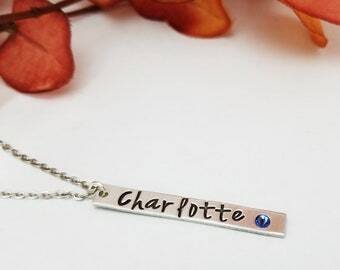 Our personalized birthstone necklaces are created with thick .925 sterling silver. 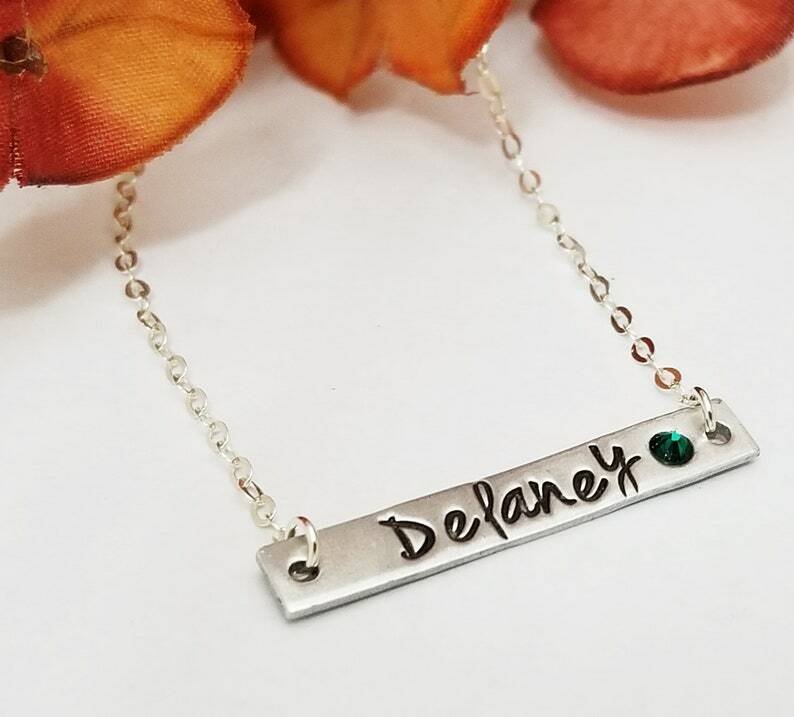 Personalize with a name, date or word of your choice! Comes with your choice of one birthstone. Chain is 1.5mm sterling silver cable in your choice of length. Bracelet does not look anything like the photo. Is cheaply made. With cheap materials and I made only for the size of a large man. If you are a woman it will not fit you. Overpriced and a complete waste of money!